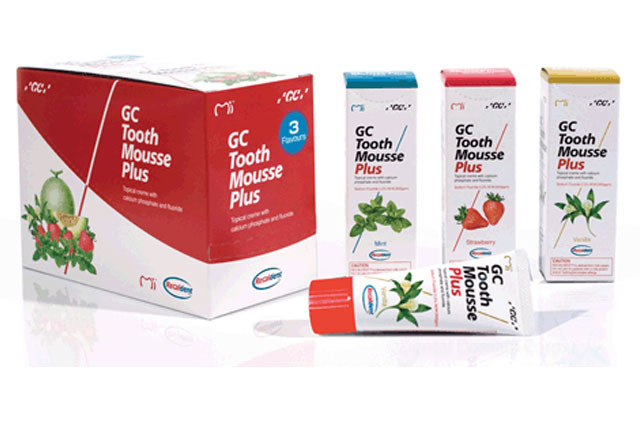 GC Tooth Mousse Plus for older patients who needs extra fluoride. Contains RECALDENT (CPP-ACP), a unique ingredient developed at The School of Dental Science, The University of Melbourne, Victoria, Australia. GC Tooth Mousse should not be used by people with milk protein allergies. If any allergic reaction occurs, this may indicate sensitivity to the benzoate preservatives, or to some other component of the product. In this event, discontinue use of the product and contact your physician.